Remember me mentioning my desire to dive back into scrapbooking? To rekindle that love affair for it when I was a design team member for an online scrapbooking site. To revisit the passion I shared with so many others...back when attending scrapbooking conferences was cool and I met this superstar. 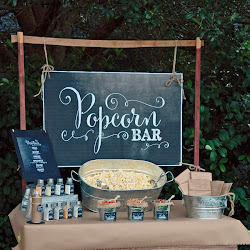 Scrapbooking conferences and retreats have been replaced with blogging-focused events over the last five or so years as a direct result of scrapbooking having taken a backseat to creative pursuits. 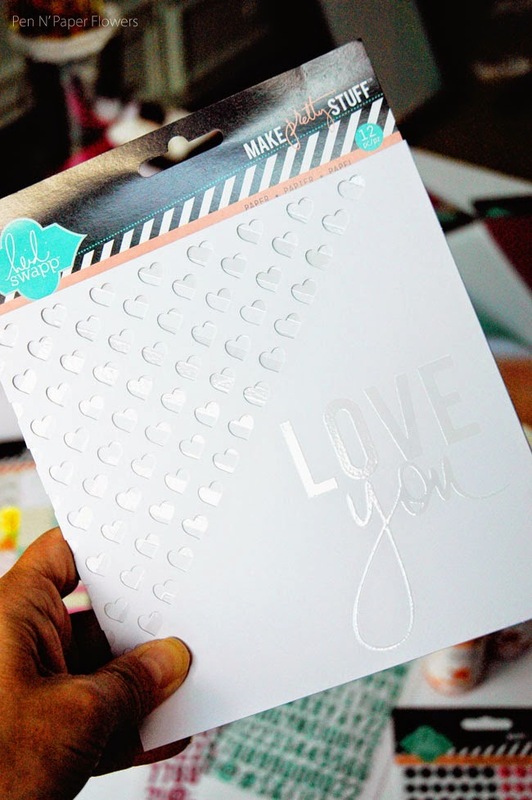 I've watched so many of my favorite scrapbooking stores close down over the years and have sadly watched the scrapbooking aisles in my favorites craft stores shrink from 3 to 4 full aisles down to only one - maybe two. slowly evolving over the last two years - in my opinion. I'm predicting it will continue to evolve and eventually explode again. And I think it's partially due to the fact that there is still a loyal following, (me included), of "celebrity scrapbookers" turned product designers. (Rhonna Farrer, Christy Tomlinson, Heidi Swapp, Becky Higgins, Ali Edwards, Jessica Sprague, just to name a few. 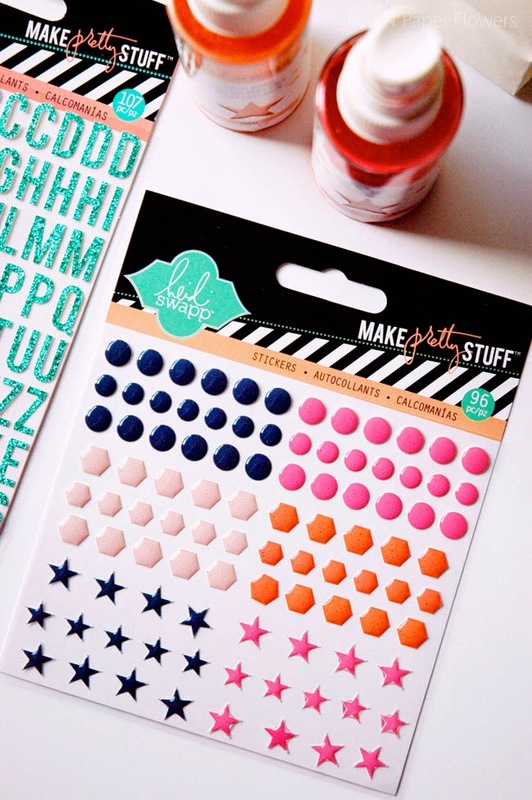 (And the fact that Two Peas In a Bucket is still around assures me there are still a significant amount of die-hard scrapbookers out there…which I believe will lend it's way into a brand-new crop of newbie scrapbookers to come). It doesn't just stop there though! 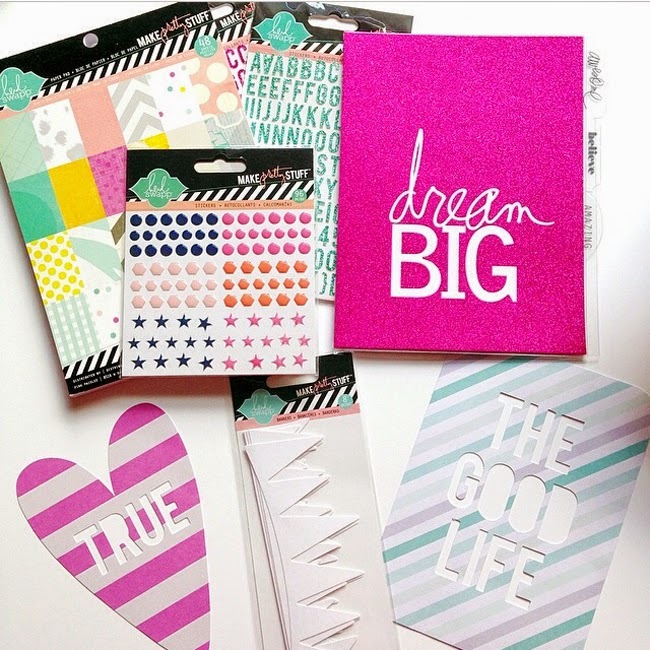 I've also noticed a revision of creative direction with scrapbooking products themselves. 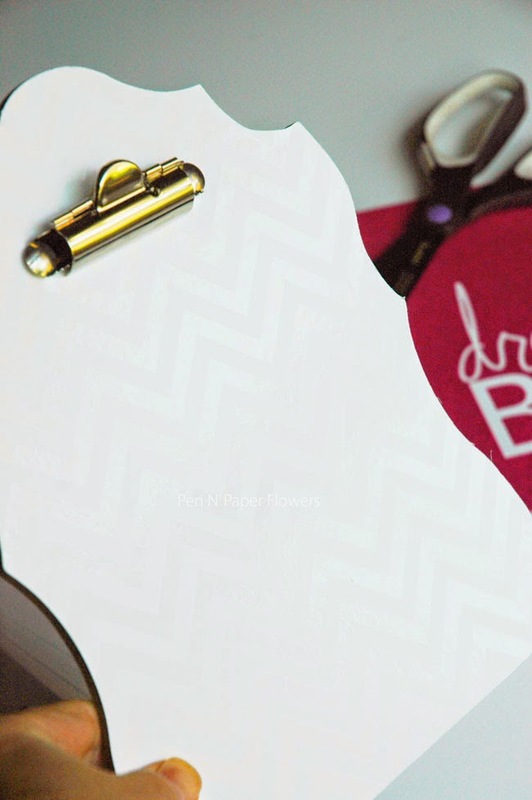 Scrapbooking Papercrafting items aren't just for scrapbookers anymore. In fact, they are so much more than that. 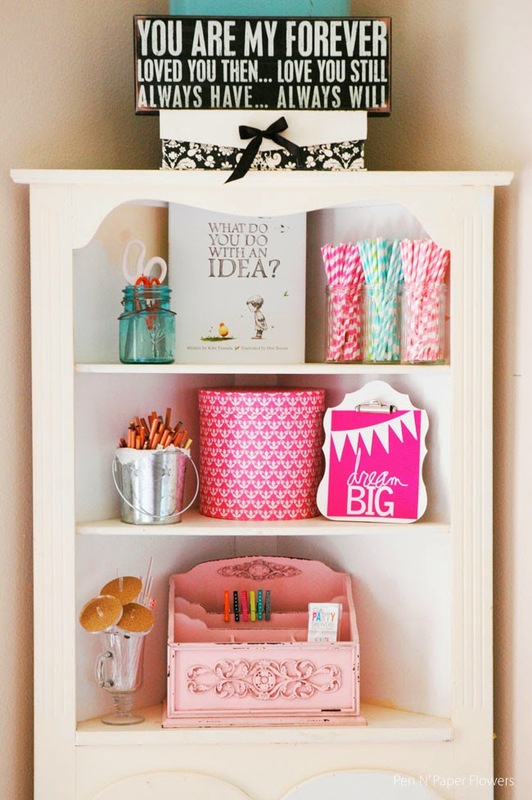 Papercrafting product designers are gearing their emphasis on making things available that can cross over into home decor, party styling and good ole' plain crafting. It seems to me my favorite product designers are reinventing themselves (or at least their products) to expand into a much broader field of creatives - although their ultimate focus is still all about "Memory Keeping". Heidi's whole new line of memory keeping products have been designed to be building blocks of great display pieces for your home - or even for gift-giving. 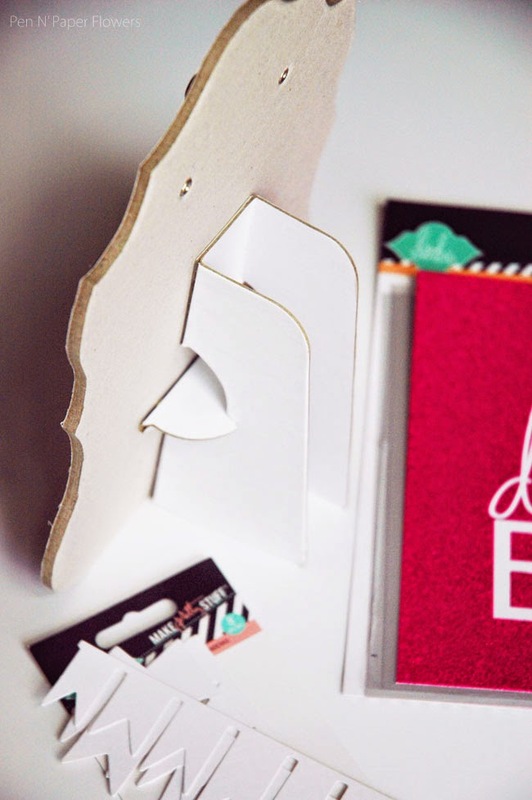 These things may LOOK like scrapbooking papercrafting items at first…but with the brilliant inclusion of things like this adorable Chipboard Easel and these fun 6" Color Magic Banners (see below)…you can do so much more than just create a photo album. 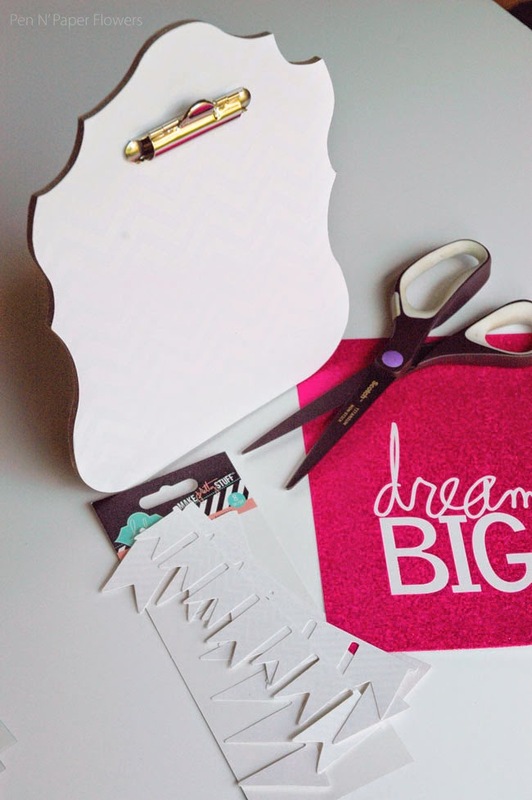 I decided to keep things super, super simple to prove to you just how easy it is to create a fun new home decor item using the easel and banners I just mentioned along with the Dream Big Glitter Cover from the new Heidi Swap line - available exclusively at most JoAnn stores. 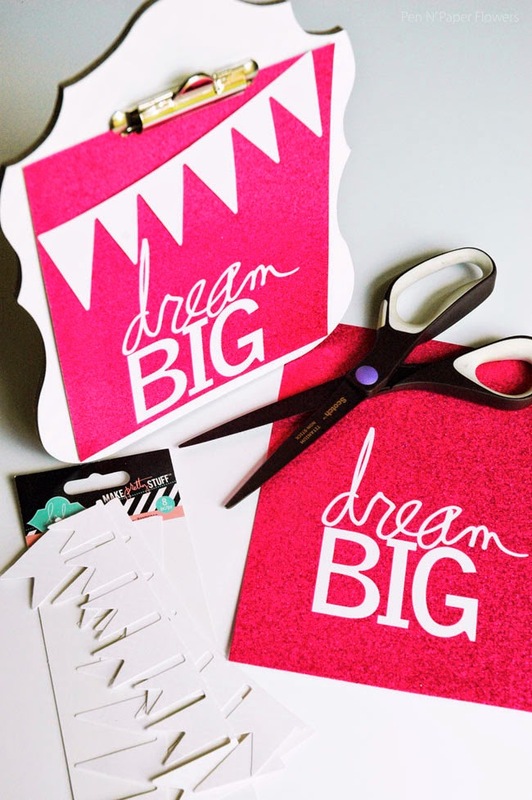 I simply cut off the bottom portion of the Dream Big Glitter Cover, attached it to the chipboard easel and secured one of the 6" Color Magic Banners to it. So easy and so cute…right? 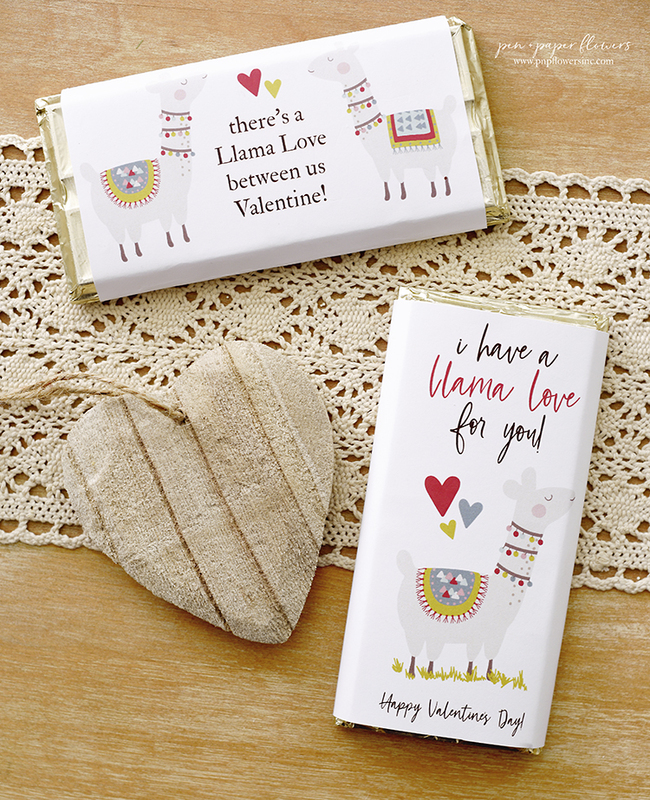 How about another idea, this time gift-related, using a combination of adorable paper from the Heidi Swapp 6x8 Paper Pad and the Heidi Swapp Enamel Confetti Stickers. It really couldn't get any easier than that, can it? 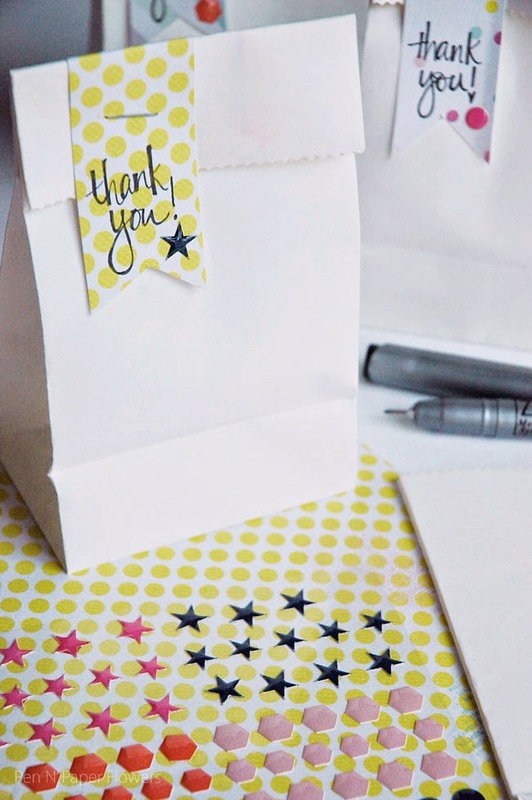 I just cut strips of decorative paper from the 6x8 Pad, wrote "thank you" on each strip, attached a single confetti enamel sticker and stapled the DIY tag to a mini white lunch sack. 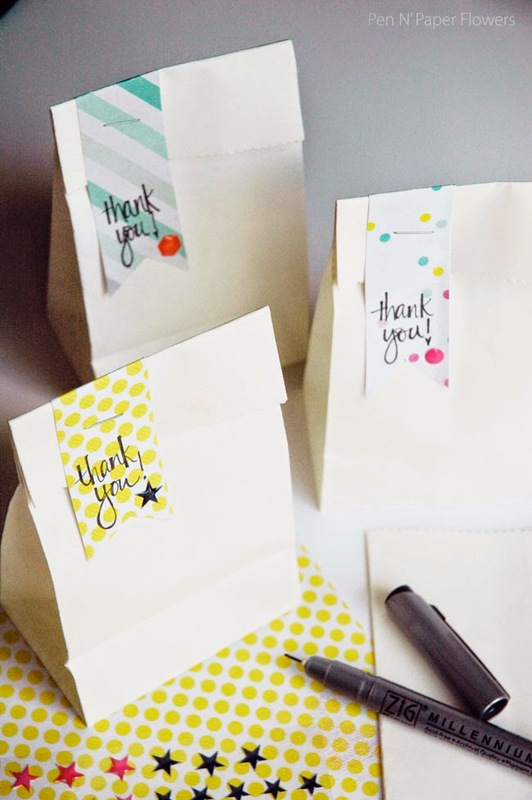 I'm using these little gift bags as Teacher Gifts for Ella's teachers. I filled them with an assortment of Godiva Chocolate Truffles and included a sweet Thank You note and gift card. 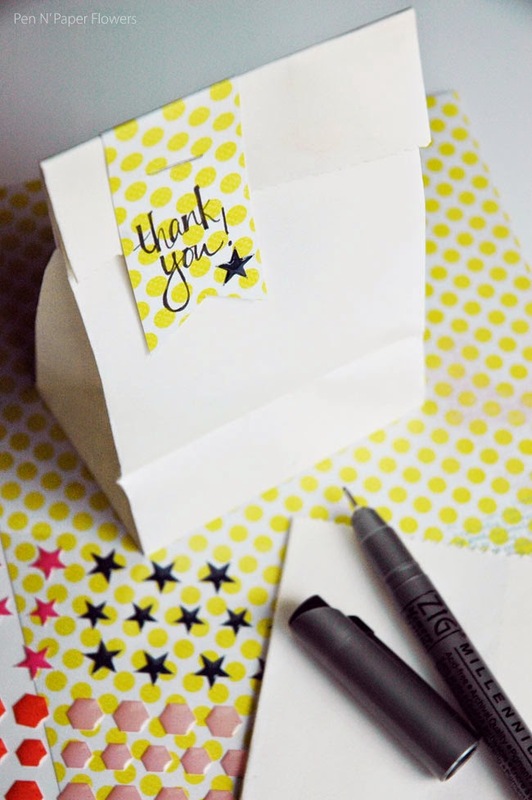 You could totally use these for party favors too!! So easy - and so cute. I've also been playing around with these FUN bottles of Heidi Swapp Color Shine. I would describe it as paint that comes in a squirt bottle but it has a glimmery finish to it - much like a powdered blush. It's soft and sparkly - and adds shine…just as the name eludes to. Here's what it looks like when applied to the Color Magic 6x6 Resist Papers. I used a paint brush to smooth out the "spritzing" effect that occurs when you squirt it. I did this immediately after I applied it making for a smoother, more watercolor-like finish, in my opinion. Since I forgot to take a "before" shot of the "Happy" Color Magic Resist Paper shown above - here's another adorable one from the pack of 12. The Color Shine doesn't stick to the "shiny" parts of the paper which makes it so fun! I'm looking forward to trying this out on canvas and other projects I have going on. I also happen to be in LOVE with this whole pink/salmon/orange color combination right now anyway so this was perfect for me. THIS IS A SPONSORED POST. 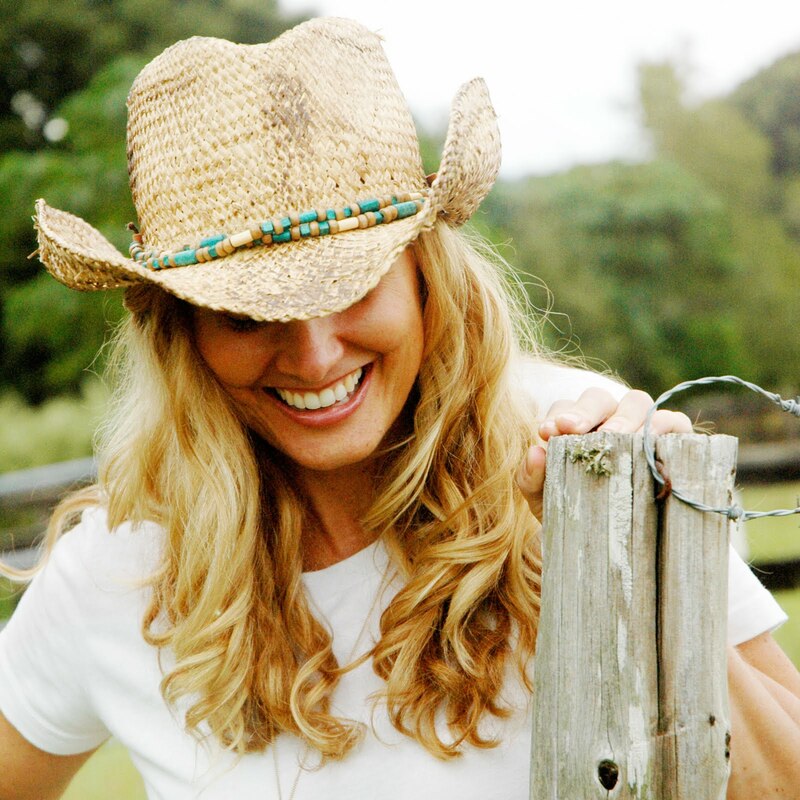 PEN N' PAPER FLOWERS HAS RECEIVED COMPENSATION AND/OR PRODUCTS FROM HEIDI SWAPP IN EXCHANGE FOR PROMOTING. WITH THAT SAID...AS ALWAYS...ALL OPINIONS ARE MY OWN. I just love when you do paper crafting posts. I am starting to get into paper crafting but you are right the isles in the stores are dwindling. 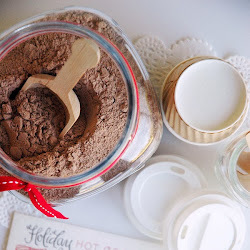 Your posts give me new ideas for projects and also where to pick up supplies.